How do I embed a Prezi on my course? With ProProfs, you can embed all kinds of files including videos, images and presentations on your course. Follow the steps below to learn how to embed a Prezi on your course. Step 1. 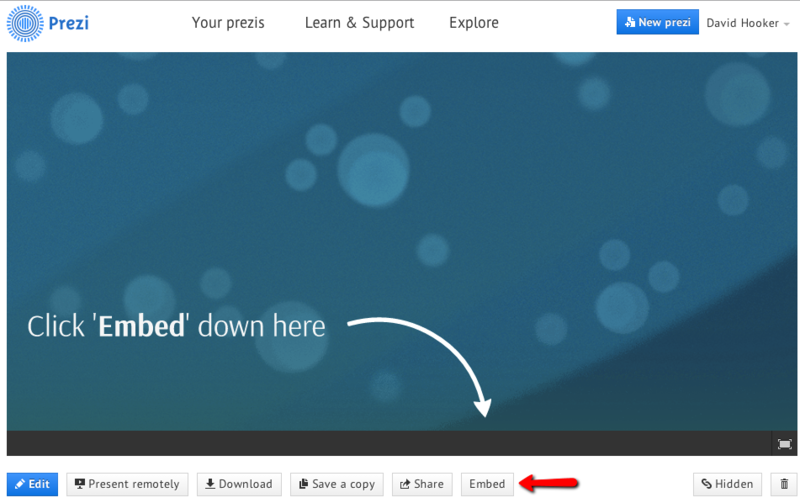 Find the Prezi you want to embed and click on "Embed". Step 2. 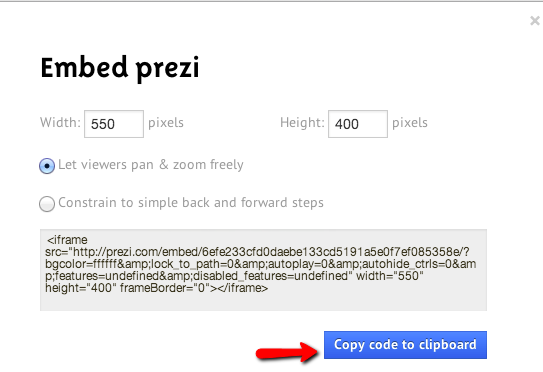 Click the 'Copy code to clipboard' to copy the embed code to your clipboard. Step 3. Go to the course where you want to add the Prezi and click on "Embed". Step 4. Paste the embed code in the box and Save to finish adding the Prezi to your course.